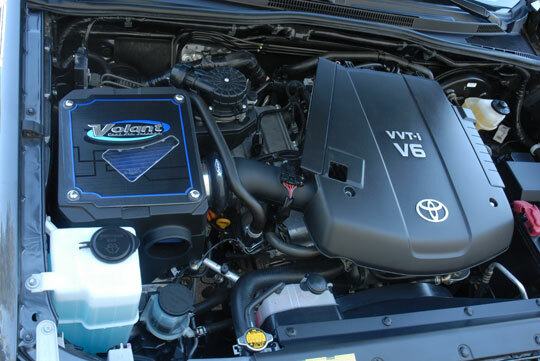 2012-2015 Toyota Tacoma 4.0 V6 Volant Cold Air Intake (Dry Filter)5NathanDecember 30, 2014Bought this for my new 2015 Toyota Tacoma TRD off road edition. I was very capable of installing it myself but had a shop do it to avoid any voiding of warranties. Only drove my truck for a week or so before having it installed. But I can say that it breathes better and have a little more up and go. This is my first time going with a dry filter, so we'll see how it goes. All in all this was a great price and it delivered just fine. The part number for this item is 185406 and it fits 2012-2015 Toyota Tacoma 4.0 models.